Fungus gnats are small, dark, short-lived gnats. 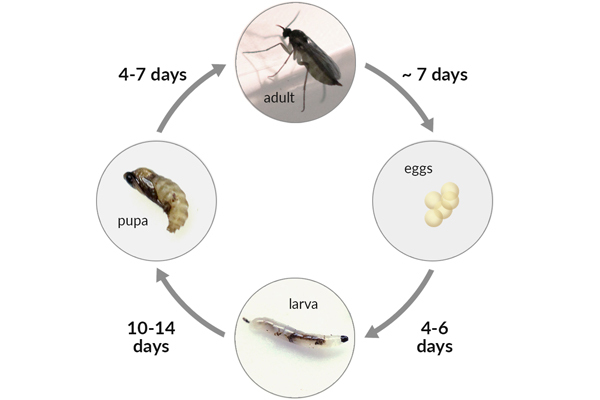 The larvae of most species feed on fungi, decaying plant material, or plant roots, helping in the decomposition of organic matter; some species are predatory. The adults are 2–8 millimeters (0.079–0.315 in) long, and are occasionally pollinators of plants and carriers of mushroom spores. Most fungus gnats are weak fliers, and can often be seen walking rapidly over plants and soil, rather than flying. However when airborne, the gnats may be quite annoying to humans by flying into their faces, eyes, and noses, both indoors and outdoors. These flies are sometimes confused with drain flies. Fungus gnats in the family Sciaridae may be pests, but are typically harmless to healthy plants - and humans - but can inflict extensive damage to seedlings; their presence can indicate more serious problems. In houseplants, the presence of sciarids may indicate overwatering; they may be feeding on roots that have been immersed in water too long and are thus rotting, or the gnats may be attracted to fungus growing in saturated topsoil. Consequently, allowing the soil to dry may reduce their numbers. The pests are sometimes also managed by placing a layer of sand or indoor mulch on top of the soil around plants; or applying the biological Larvicide to kill gnat larvae. n Since the gnats are weak fliers, fan-based traps as well as other fly-killing devices may be used to help control free-flying gnats, especially indoors. 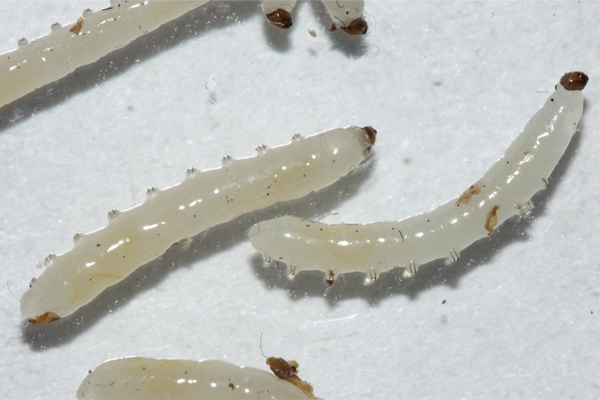 There are a number of toxic and non-toxic methods of controlling sciarids and their larvae.